The tree is up, the lights are twinkling, and you are busy hunting down JUST the right gift for everyone on your "nice" list. 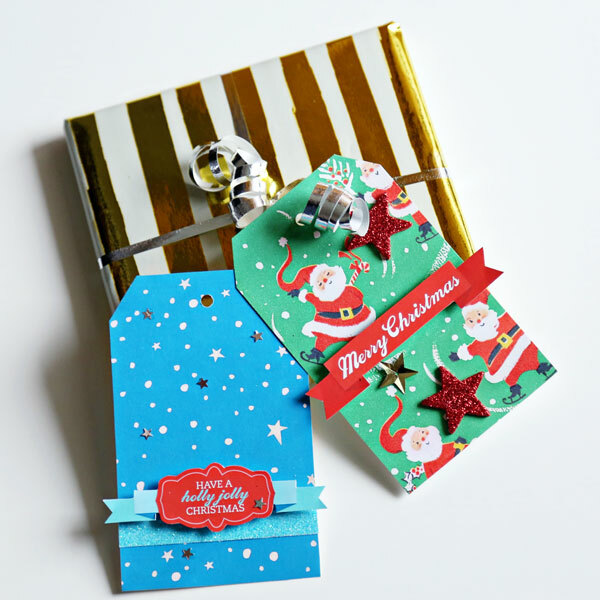 Why not grab a cup of cocoa and pick up something nice for yourself, too? 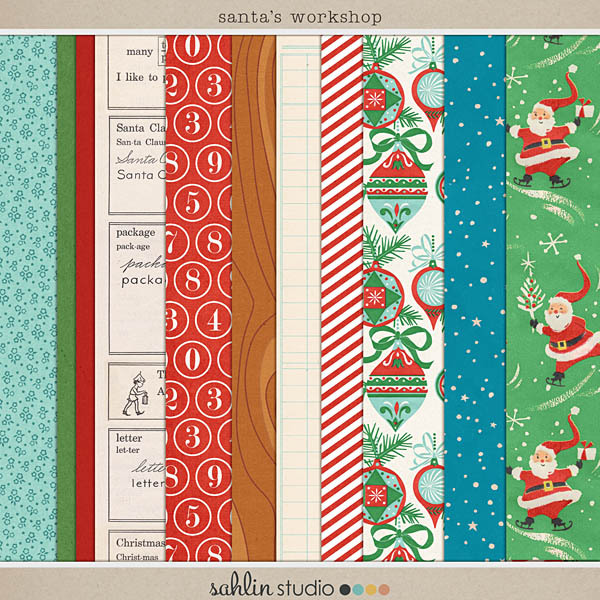 My Santa's Workshop kit will be just the thing to keep you in the holiday spirit! 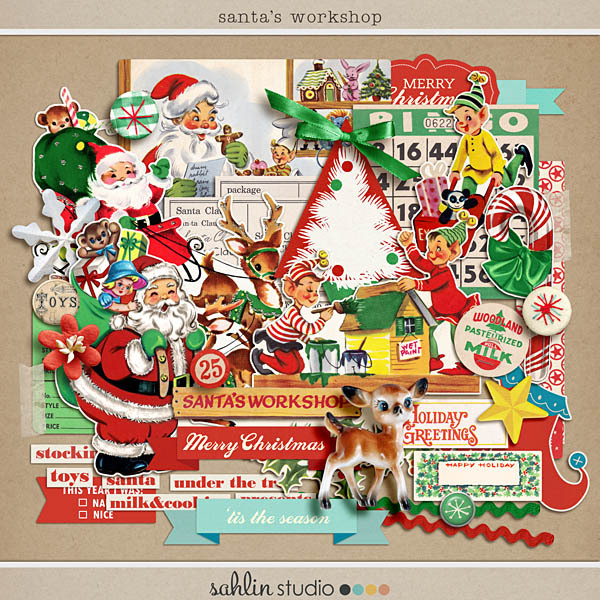 With its fun, retro stylings, jolly Santas and playful elves, this kit is just the thing for your December documenting needs- daily or otherwise. 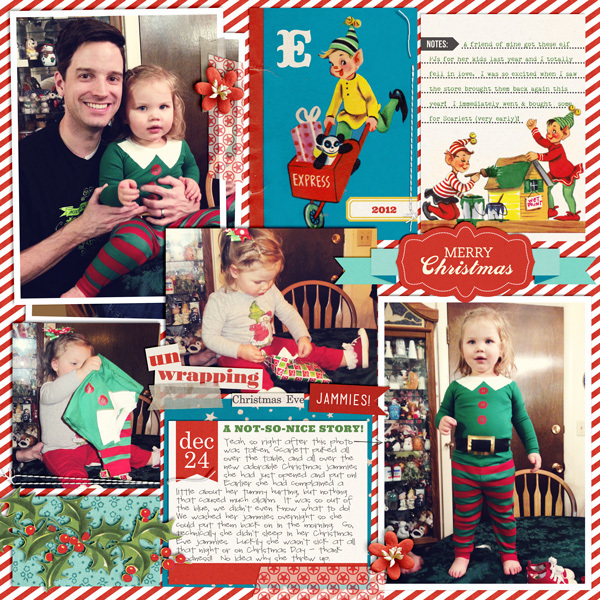 It's amazingly versatile: use it to create beautiful holiday cards, layouts, mini books, party invitations, or even hybrid home decor crafts! 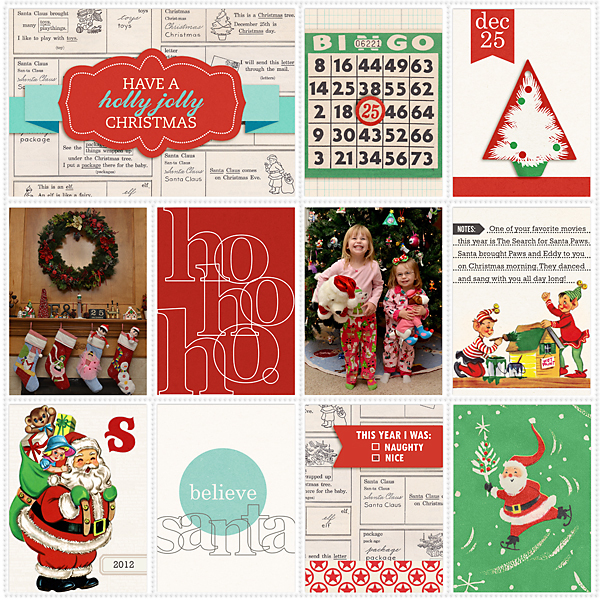 You will find inspiration for all of your holiday projects! 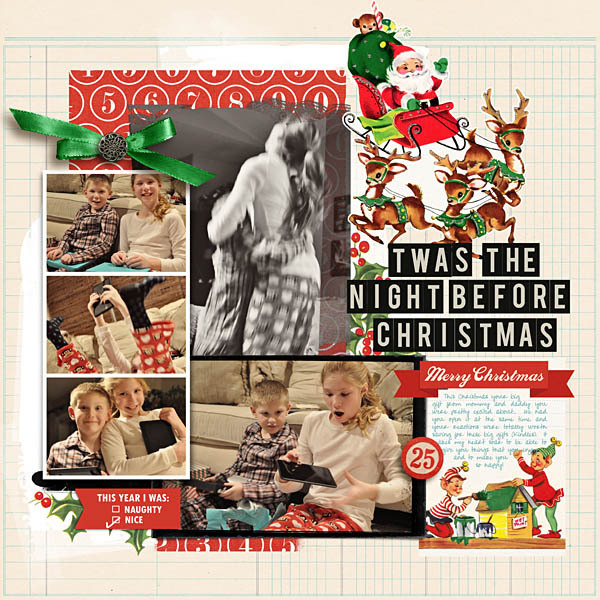 No matter what your scrapping needs, Santa's Workshop will help you document all your Christmas memories, and all the cherished moments to come. License or an explanation of both licenses, please visit my website.